Cablu HDMI Ultra HD (4096x2160 4k/60Hz) 18GBit/s 19pini auriti tata/tata 3m Ø7,3mm. 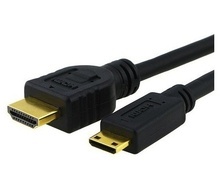 Cross Reference: HDMI2.0-150 1080P HighSpeed Ethernet Premium HDMI Cable V2. 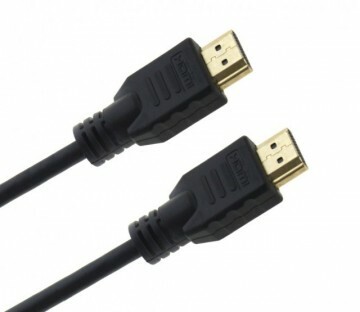 High Definition Multimedia Inferface (HDMI) is the most common cable for digital audio and video connection of television, settop boxes and other audio-video devices like bluray players. HDMI 2.0 (UHD) cables are available since beginning of 2014 and allow 4-times bigger resolution than HDTV. 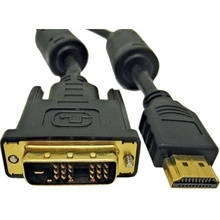 With HDMI 2.0 cables you will be able to play movies with 2160p at 60Hz. 3D movies can be played with 1080p at 60Hz. This professional high-end HDMI cable with 4K / 3D / Full HD and ethernet provides a perfect and lossfree broadcast of high-definition signals. Cablu HDMI A - Mini-HDMI C, (Type A - Type C) Monitor / Tableta / TV, 19pini auriti tata / tata 1, 45m Ø7, 3mm, 30AWG 1080P-HDMI HighSpeed Ethernet.